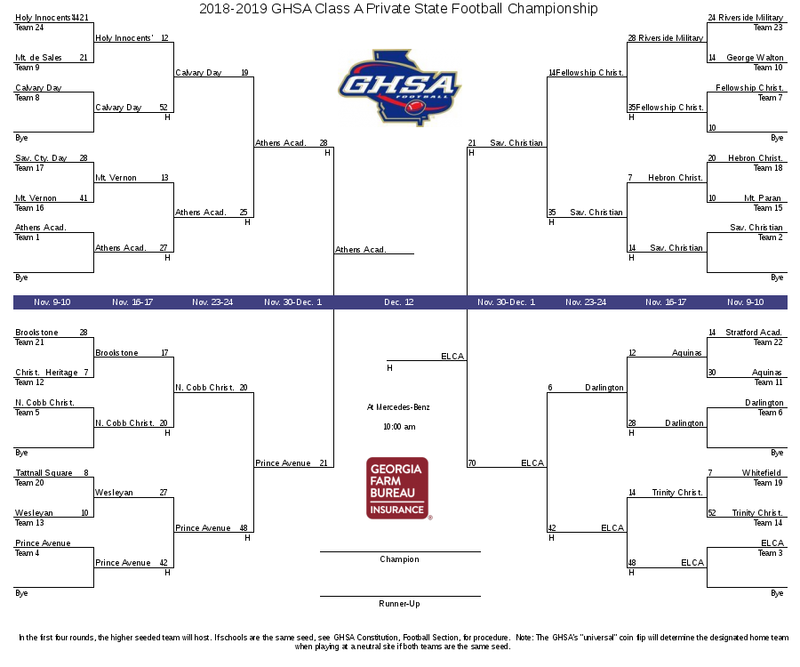 Athens Academy defeated Prince Avenue Christian in the semi-finals of the GHSA Class A Private playoffs 28-21 to take on Eagles Landing in the state championship for the second year in a row. Eagles Landing cruised through the playoffs, defeating each team by an average of 39.6 points. They put up 70 points in the semi-finals against Savannah Christian to secure their spot in the championship. Last year, Eagles Landing rolled through the Championship game, beating Athens Academy 41-3. The rematch for the state championship this year will be Dec. 12 at Mercedes-Benz Stadium. The game was postponed because of a conflict with the MLS Cup when Atlanta United clinched the MLS Eastern Conference Finals.